Since 1939, Wiley Christian Retirement Community has provided a continuum of care for those 62 and older. The life plan community at Wiley includes 137 independent living homes within the village and the courts, 44 residential living studios, 67 long term care beds & 19 post acute private rooms (opening in 2018). Also within the community is a rehabilitation and wellness center. Wiley Christian Retirement Community is situated on 55 acres of beautiful greenscapes & wetlands. Also found on the property is Wiley Church & Wiley Christian Preschool. 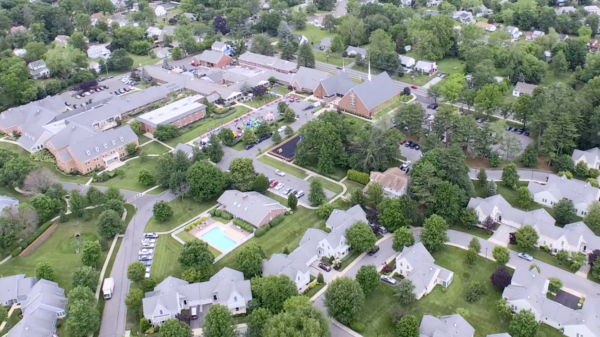 Unique to Wiley is its rich history, the breadth of ministries found on the campus and the intergenerational environment reflecting the lively setting of a retirement community, church, preschool and summer camp. To see our facilities and grounds firsthand, feel welcome to schedule a tour by clicking HERE.